Flap outside pocket that secures with velcro. 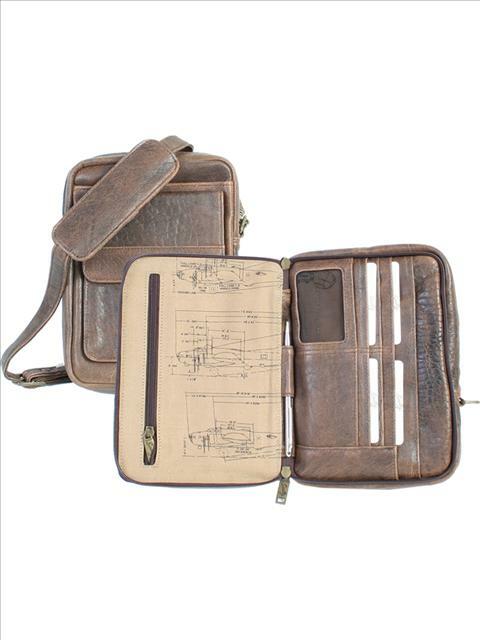 3-way zip organizer for id, credit cards, compartment for cash and receipts. 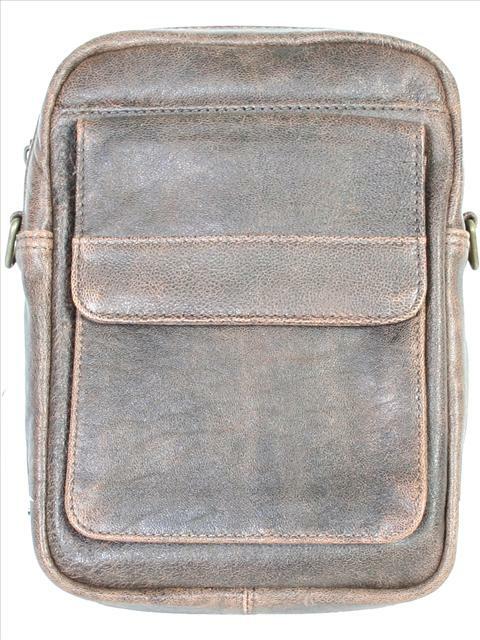 Removeable and adjustable shoulder strap w/faux shearling pad. Cotton lining shows schematics of aircrafts.